I have been thinking a lot about archivists as curators lately. People might not immediately associate archivists with curators (ok let’s be honest, people don’t associate archivists with much of anything except dust…mini rant over…) However, archivists are becoming increasingly responsible for curating exhibits in a variety of forms. I have just completed the latest in a series of quarterly online exhibits (glorified blog posts, really) for the City of Coquitlam Archives and it has got me thinking about the role of archivists in our current times. Perhaps this is not the case in some archives, but I am finding that more and more, I am expected to know the precise content of all the records in my holdings, be able to pull up specific facts at a moment’s notice, and prepare engaging, curated narrative content for outreach programs and exhibits. Luckily, my background as a historian and my keen interest in outreach makes this a good direction for me. In the role of curator, I feel closest to my GLAM sector colleagues. But I wonder how other archivists feel about this pressure to curate, to mine the archives for stories to tell. This wasn’t always our job. Historically, the archivist was at best the embodiment of the finding aid and at worst, the cantankerous gatekeeper. Archivists served as guides through the collections, laying proverbial bread crumbs through the creation of finding aids, and helping researchers to zero in on the most salient source material for their particular project. The myth of objectivity reigned supreme. 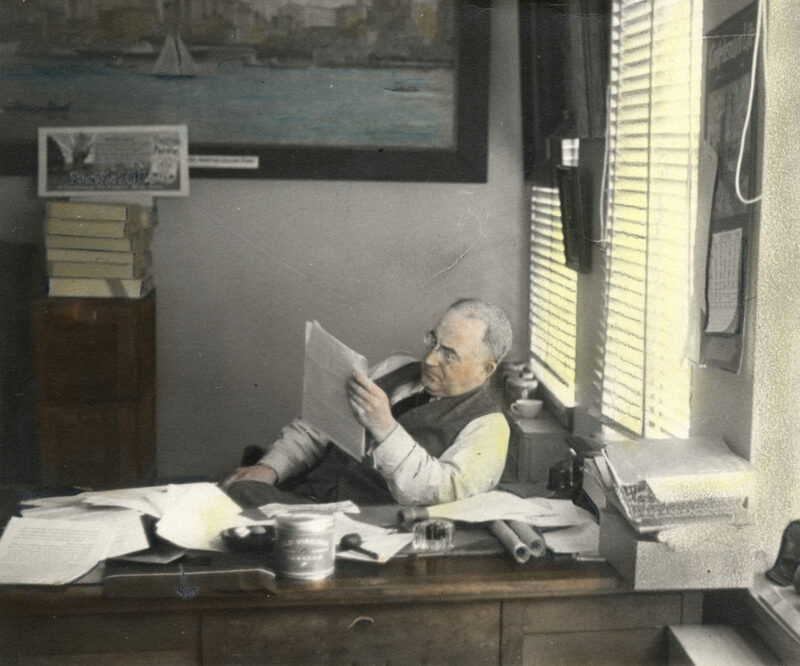 For a small population of dedicated historians and genealogists, the archivist was a well-known and (I would suspect) well-respected figure in the research process. Fast-forward and we arrive in the Google-era, where information is ubiquitous, searching is automated, “truth” is subjective (rightly so), and archival labour has become largely invisible (depressingly so). What is the modern archivist to do? My answer is to do the work that was traditionally reserved for historians and museum professionals in order to raise the profile of the archives. By telling stories that highlight the records in our holdings, I am attempting to draw people in and then sucker them into learning something – mwahaha! The hope is that these exhibits spark some curiosity for more. At the very least, these exhibits result in excellent media coverage for the archives, which hopefully raises the profile of the institution and the work that we do. But, I wonder if I might actually be doing my users a disservice. Am I sparking interest that will lead to more users, more use of our records? Or am I simply entertaining (at least I hope so) those who choose to read the curated content? Am I doing the work for them? Is there too much of my perspective, my bias, my reading of the records? Is this all about marketing and awareness, or do exhibits promote archival and information literacy? Am I encouraging use of the collection or is it simply entertainment? Is simple entertainment a bad thing? These are the questions I ask myself. Existential questions aside, I thought I would share some examples of effective archival exhibits (in my opinion). The accompanying blog series allows for a more in-depth analysis of the items on display and also has the added benefit of providing a vehicle for explaining the overwhelming volume of some of LAC’s collection and the complexities of archival processing. In the most recent “Premiere” post, archivist Roddy McFall outlines the extent of a recently acquired collection, explaining how “the 80,000 records are being processed, described, arranged, and made available to the public via online finding aids, exhibitions…” I would hope that readers would pick up on the number 80,000 and try to imagine the work that it would take to process and make all of those records accessible. Laying the foundations of archival literacy? I can dream, right? The “Premiere” exhibit seems to be accomplishing exactly what Heather Gordon spelled out some years ago as the responsibility of an archival exhibit – that is to “promote the archival institution and its holdings and to educate people regarding archival functions and services.” Perhaps my worries on this topic are unfounded. Perhaps archival exhibits do just what they are meant to do. I suspect that this Fire Insurance Plans exhibit from the University of Western Ontario Archives has proved immensely useful for researchers over the years. The exhibit highlights the records but also provides an explanation of the nature of the records and explains how to use them. The exhibit encourages users to contact the Archives to consult the records. In this case, the exhibit is serving as a suped-up Finding Aid and will have a continuing utility over time. 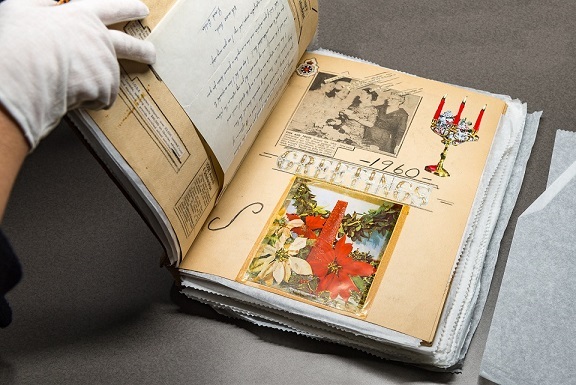 The North Vancouver Museum and Archives (the Archives side of the dual moniker) has produced a remarkable online exhibit that highlights a particularly fascinating set of records. Walter Draycott’s Great War Chronicle invites visitors to experience the quotidian reality of the First World War as it was experienced by prolific diarist, community historian, Justice of the Peace, collector, photographer, Fellow of the Royal Geographic Society…etc..etc.. Walter Draycott. The exhibit was first launched to mark the 100th anniversary of the start of the First World War and was designed to expand until the 100th anniversary of the war’s end in 2018. 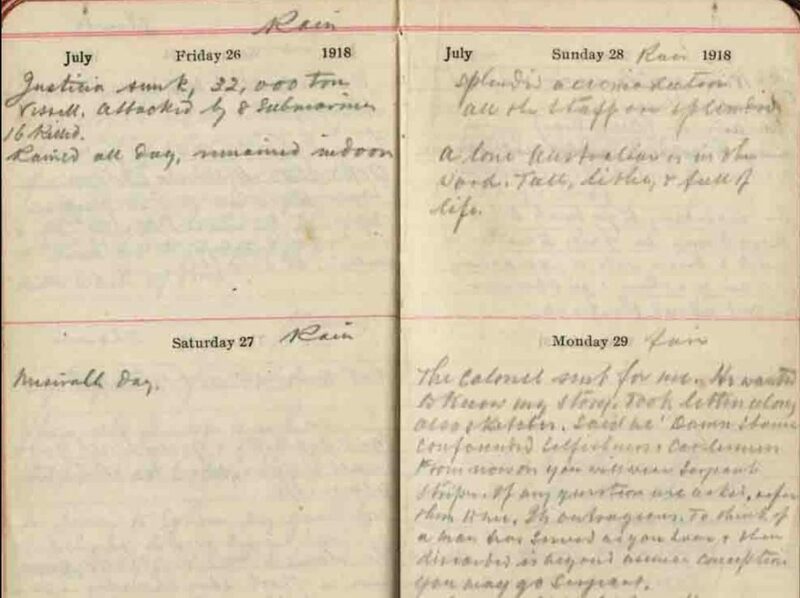 “Each of Draycott’s 1,500 or so wartime (1914-1918) diary entries is posted exactly 100 years to the day after it was written from 2014 through 2018.” Significant entries are brought to life through reenacted voice recordings and the extensive website includes analytic essays as well as photographs and battle-field drawings from Draycott’s archives, which were donated to the NVMA along with his entire life-time’s set of diaries covering the period 1907 to 1985. What a treasure trove and what a remarkable way to present it to the public! This exhibit certainly accomplishes the dual purpose of education and outreach. I would be very interested to hear others thoughts on archivists as curators. Does this preoccupy you as much as it does me? How do you feel about your role as curator? Are there any neat exhibits you have planned this year? Great article Emily! As LAC changes it’s service delivery models in the regions, the role of archivist is changing a lot. There is certainly a lot more forward facing outreach work, which is a totally different skill set for most archivists. It’s a lot more Don Draper style creative thinking and a lot less behind the scenes nerdery. An interesting time to be an archivist!